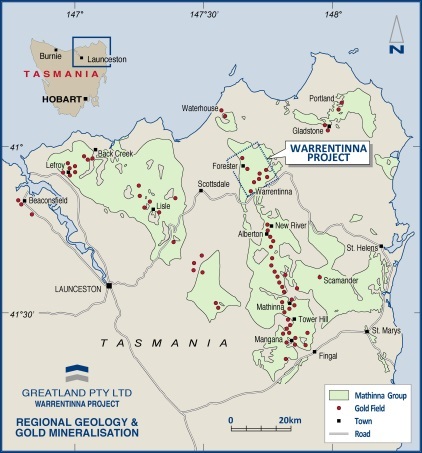 The Warrentinna project is located 60km North-East of Launceston in North-Eastern Tasmania and covers an area of 37sq km with 15km of strike prospective for gold. 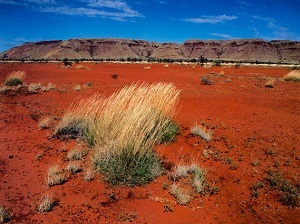 The host rocks are equivalent to those found in the goldfields in Victoria, south-eastern Australia which have to date produced over 50million oz of gold. Drilling results show gold mineralization is from surface, providing potential for an open pittable gold resource. 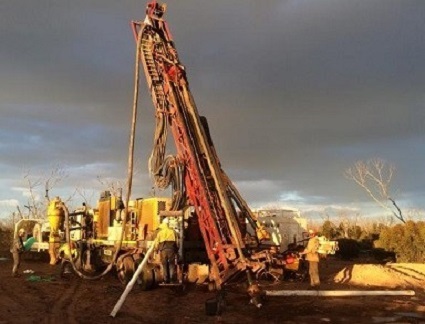 There is exploration potential for the discovery of high-grade shoots beneath known shallow historical workings and within unmined quartz-lodes. There is also potential for the discovery of larger tonnages of lower-grade mineralisation adjacent to quartz lodes. 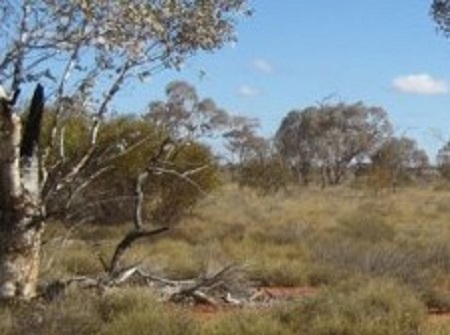 The tenement encompasses two historic gold fields, Forester and Warrentinna, which produced high grade gold deposits in the late 1800’s and early 1900’s. These historic high grade quarts lodes were mined both at surface and underground eg Golden Mara mine 3,368oz at averages of 1oz/tonne. These areas had lacked significant modern exploration efforts until Greatland Gold began work on them. 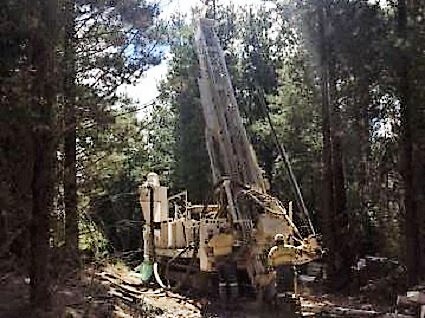 Work carried out by the Company to date has consisted of geological mapping, soil sampling, rock chip sampling and drilling, primarily in two target areas of Forester and Warrentina. 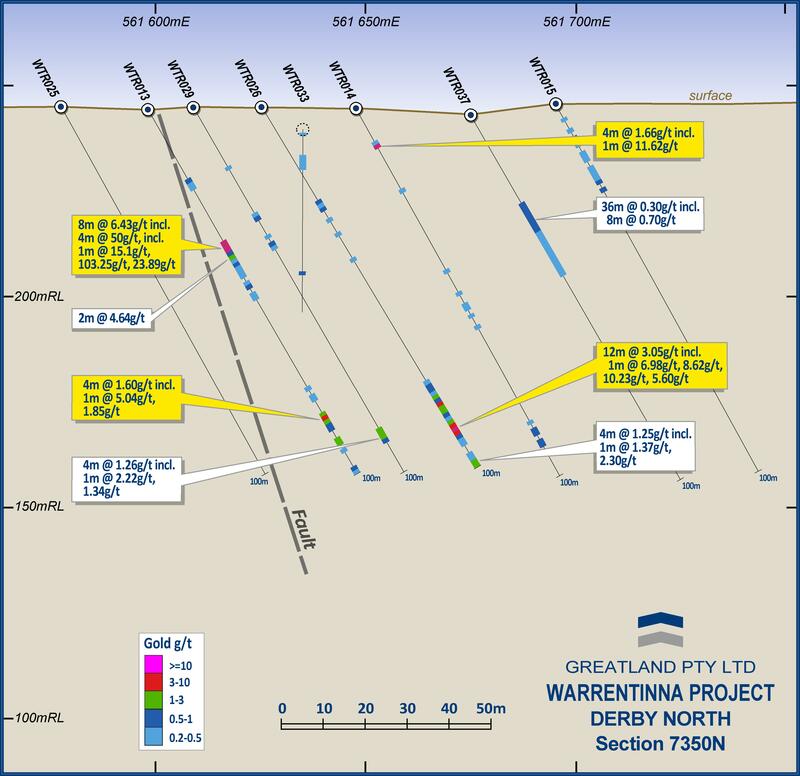 Soil sampling returned highs of 666.5ppb and 1,308ppb Au, while rock chip samples returned highs of 44.6g/t, and 464g/t Au, confirming the historic reports of the high grade nature of mineralisation in the area. The sampling extrapolates mineralised strike lengths of up to 6km in both areas, with other areas of the tenement yet to be fully evaluated. The company has drilled over 3,500m to date with over 3,500m of historical drill data also obtained for analysis. Drilling results show gold mineralization is from surface, providing potential for an open pittable gold resource. Drill results also show a high potential for extension of the mineralization at depth. During December 2016 the Company completed an RC drilling programme, a total of six RC holes were drilled for 596m. Each hole was drilled to a nominal 100m depth (apart from one hole completed to a depth of 96m). All holes were angled at 60 degrees. Five holes were drilled at the Derby North prospect (WTR037-WTR041) and one hole was drilled under historic workings at the Golden Mara prospect (WTR042). All holes were sampled as 4m composites from surface to end of hole and geologically logged. All holes returned over 4m at 0.5g/t gold apart from one hole (WTR041). Maximum result returned from Derby North was 4m at 2,878ppb Au, and maximum result from Golden Mara was 4m at 1,071ppb Au. 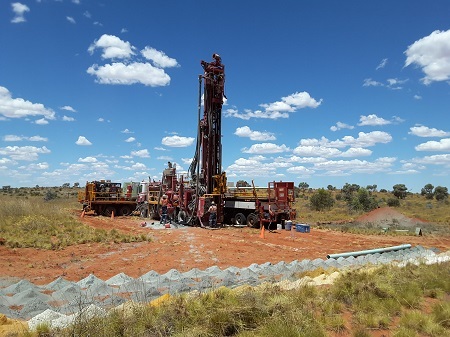 Overall, results from drilling at Derby North were positive in that continuity of mineralisation has been enhanced over the core of the prospect. 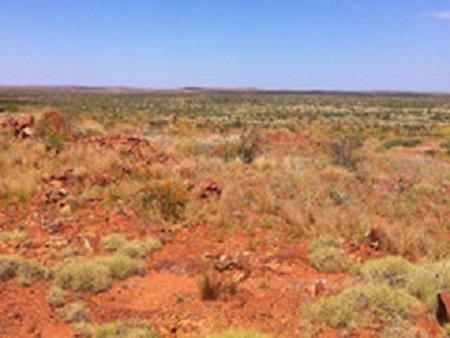 Also drilling has highlighted that mineralisation remains open, particularly to the north and east. Intercepts from Derby North include 44m at 722ppb gold from 20m in hole WTR038 peaking at 4m 2878ppb gold from 20m and 4m at 1230ppb gold from 36m, and 72m at 262ppb gold from 24m in hole WTR039 peaking at 4m at 1254ppb gold from 56m, and 36m at 303ppb gold from 12m in hole WTR037 including 4m at 781ppb gold from 24m. 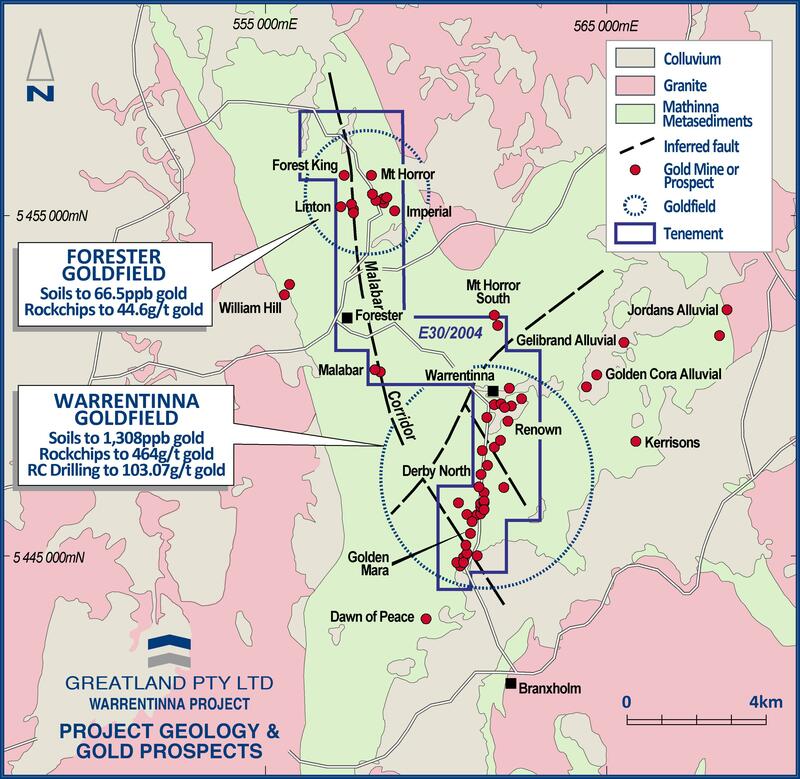 In WTR040 mineralisation was observed from surface peaking at 4m at 2751ppb gold. 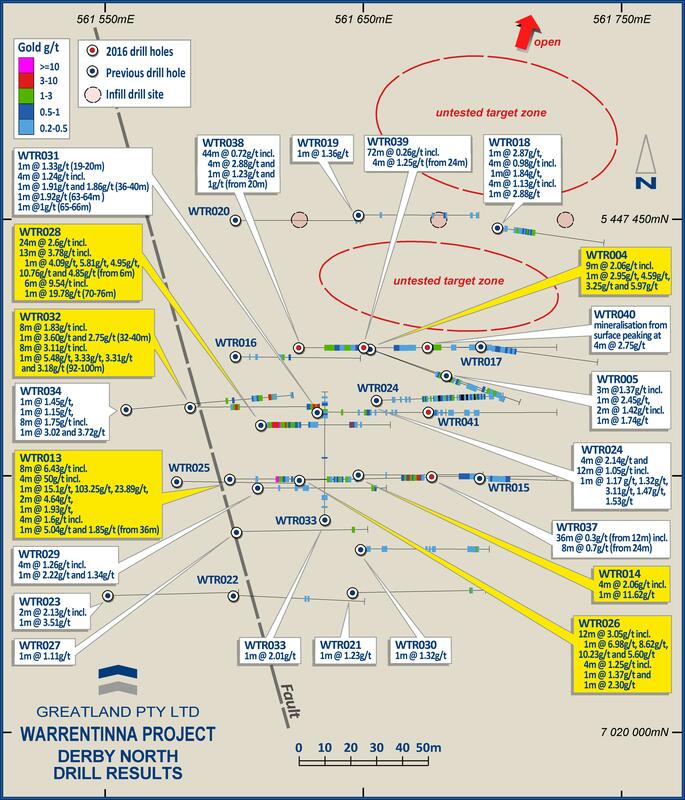 Results from drilling at Golden Mara (WTR042) were moderately encouraging and potentially significant when considered with previous results of adjacent hole WTR010 (drilled in 2008) peaking at 3m at 950ppb gold from 30m in a broad intercept of 36m of 300ppb gold from 0m. 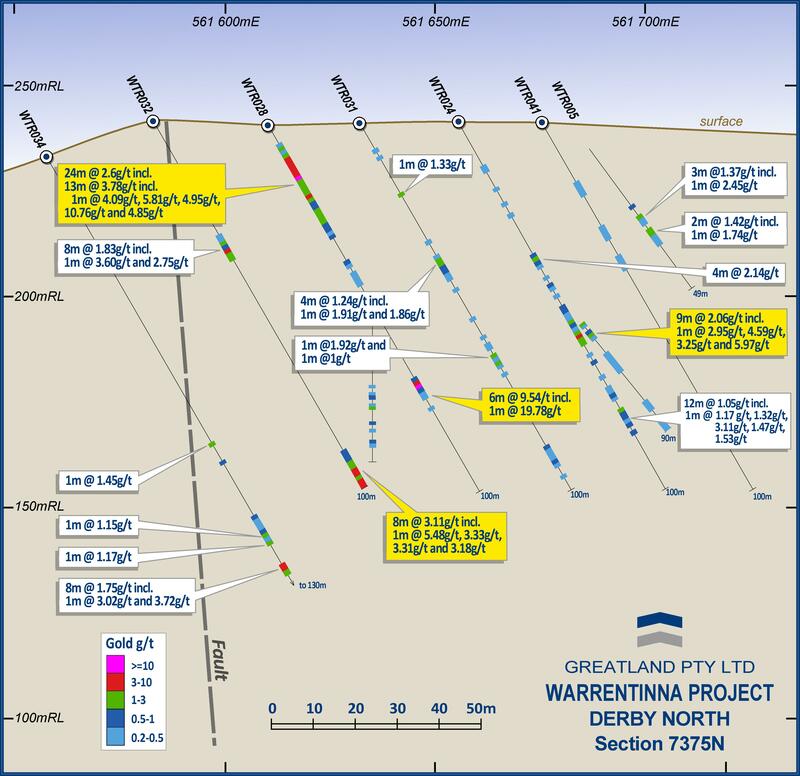 Further RC drilling is required at the Derby North target within the historic Warrentinna Goldfield and at other prospects. The tenement hosts Mathinna Group metasediments. These sediments are equivalent to the Melbourne Trough geology which host the bulk of Victoria’s gold mineralisation (+50mill oz Au). The sediments in Warrentinna have undergone multiple regional deformation events resulting in passive low grade metamorphism & folding. Devonian granite intrusions occur with some contact metamorphism present. Gold is likely to have been emplaced during this intrusive period. Gold mineraliation from drill holes is coincident with quartz vein structures & disseminated sulphides.